The real stuff adds such a layer of flavor to your baked goods that once you've made your own, you'll never want to go back. 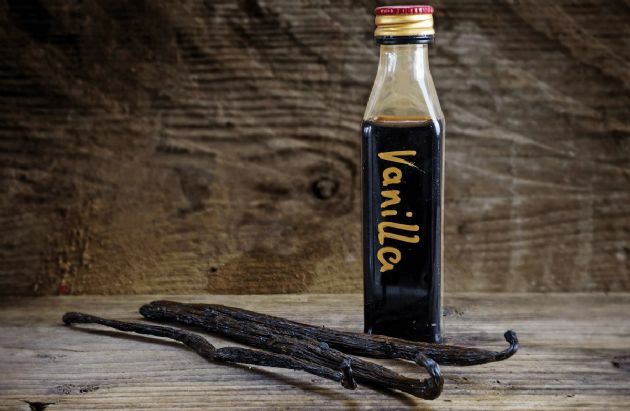 Vanilla beans are about $1 each, and because you're only using a cup of vodka, you can just buy the "airplane" size bottles. It ends up being about 5 cents per serving. This makes a great hostess gift. Make a large batch of it and give it away as a holiday gift. Split the vanilla beans in half lengthwise. Scrape the seeds from the bean using a knife, and place both the seeds and the beans in a glass jar with a lid. Warm the vodka to 100-120 degrees Fahrenheit. Pour the warmed vodka over the beans and allow to cool to room temperature. Once cooled, seal the jar. Store at room temperature for one week, shaking the jar every other day. Strain the mixture, then store in a sealed container. Flavoring will keep for a year, but chances are you'll use it up before then. I use a 720ml bottle, throw my beans in, put in a dark spot for eight weeks then put a dash of rum in it for the sweetener. I've used a splash of brandy before as well. I love this. I made it about 6 months ago and it is my fav vanilla flavoring. Will not go back to store bought. It's so easy to make. I have always heard of this recipe.. and am tempted..